The moon is expected to cover the sun Aug. 21 in wide sections of the United States. A total eclipse of the sun is expected to occur Aug. 21, 2017, visible across a wide swath of the United States. 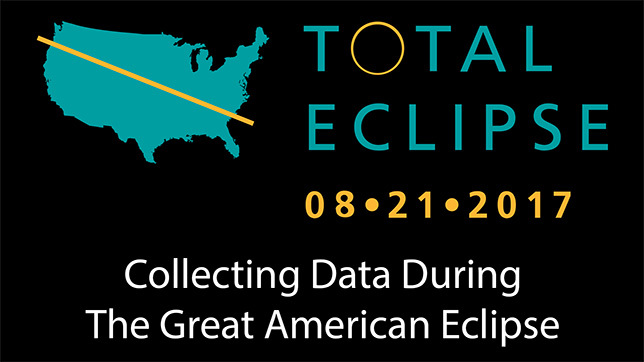 Oregon-based Vernier Software & Technology is providing tips and resources for viewing the “Great American Eclipse,” as it’s being called, and the scientific data-collection company is urging educators to collect and share data from the event. To view the eclipse in a safe manner, Vernier is producing certified eclipse viewing sunglasses. According to a news release, “educators can purchase class packs of 40 glasses on the Vernier website for $16.” Vernier has also given away eclipse glasses to teachers during conferences, such as the NSTA (National Science Teachers Association) National Conference in Los Angeles in March-April. According to Vernier and other sources, this will be the first time in 38 years significant sections of the United States will witness a total solar eclipse. Though the band of complete sun coverage by the moon will only be about 70 miles wide and will stretch from Oregon to South Carolina, broad portions of the United States will experience 0.7 to 0.9 magnitude coverage. Vernier is also providing information on collecting temperature, light and wind speed data with appropriate sensors, such as the Vernier Light Sensor, UVA and UVB sensors, anemometers and surface temperature sensors, among other things. Vernier is encouraging educators to share data and pictures from the solar eclipse by emailing eclipse@vernier.com or posting via social media with the hashtag #VernierEclipse. Afterwards, Vernier will compile and provide a summary of the data collected from educators across the country, the company said. To learn more about Vernier’s Great American Eclipse efforts, visit this company website. In other Vernier-related news, the company has launched 16 new Go Direct sensors with built-in wireless and USB connectivity for data collection. These sensors measure magnetic fields, conductivity, gas pressure, light and color, motion, radiation, temperature, voltage and other phenomena, and can be used in chemistry, physical science and middle school science classes. Visit this site for details. Finally, Vernier has become an exclusive distributor of Pivot Interactives’ real-world science videos. College and high school students can learn physics through real experiments that are difficult, unsafe or unachievable in the classroom, but can be viewed online. To learn more about Pivot Interactives, visit this Vernier website. To learn more about the company and its efforts, go to Vernier’s home page.